"I’ve spent 20 years rescuing gear from studios forced to shut their doors, including Ocean Way Recording and Sound City. Monnow Valley is one of the best sounding live rooms I’ve ever worked in, and the people and setting are amazing. I couldn’t be happier with where the equipment has ended up." 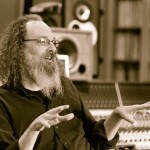 Monnow Valley Studio is excited to announce we have partnered with American producer/mixer and three-time Grammy award winner, Andrew Scheps (Adele, Beyonce, Michael Jackson, Bon Jovi, Metallica, Red Hot Chili Peppers, Black Sabbath, U2, Justin Timberlake). Andrew has spent the last 20 years rescuing gear from studios forced to shut their doors such as Sound City, Ocean Way Recording and Signet Soundelux. 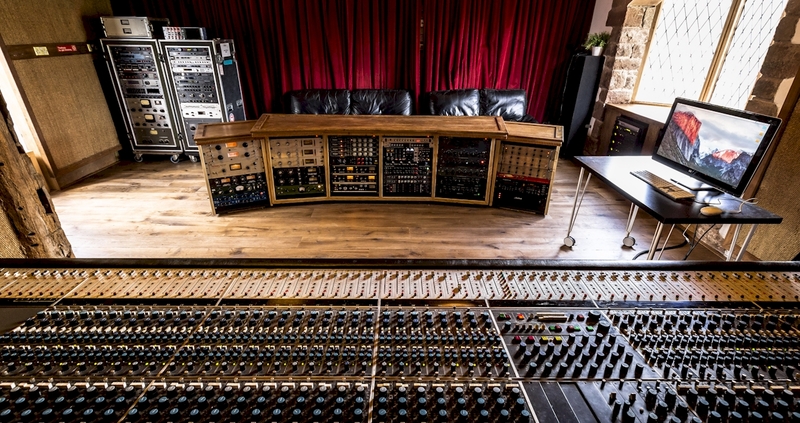 The centrepiece of his collection and the re-fit is a 64 channel Neve 8068 Mk II complete with flying faders. 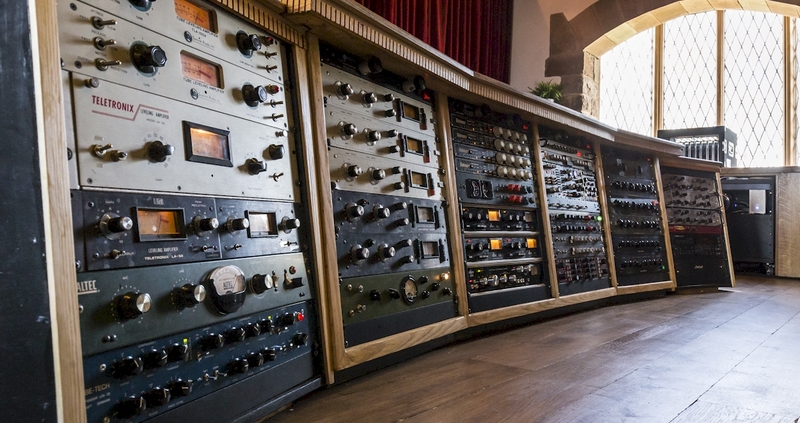 In addition to this Monnow Valley has inherited a fantastic selection of vintage Pultec and Lang EQ’s, Urei and RCA limiters, as well as valve classics from Neumann and AKG. Additional acquisitions include a Neve BCM 10 with 10 x 1073 modules, a pair of RCA Ku3a’s and a wide selection of boutique Mic’s, Compressors and EQ’s. The install was overseen by studio co-manager Tom Manning alongside studio tech Richard Griffiths (ex Olympic Studios) and engineers Matt Glasbey, Curtis Elvidge, Liam Ross and Beau Blaise. Tom and Andrew designed the new layout installing Pro Tools HDX2 with 64 i/o. New solid oak flooring has been laid in the control room complementing the unique organic design which flows through the studio. The move to the UK provides Andrew with the best of both worlds… these days he prefers to mix in the box but Monnow Valley also provides him with a huge live room for tracking projects. Monnow Valley, however, is far from Andrew’s own private studio and is still very much open for business. With word spreading about the re-fit, producers are eager to book in sessions. 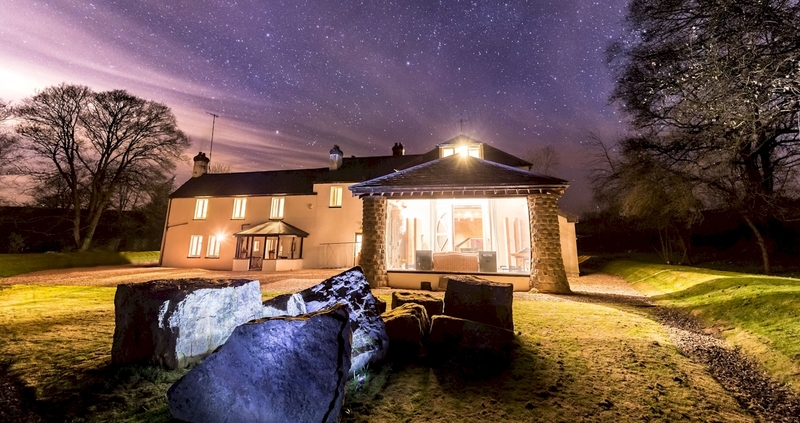 Since opening it’s doors in 1975, heritage studio Monnow Valley has been one of the UK’s leading residential facilities, playing host to artists including Black Sabbath, Oasis, Robert Plant, Simple Minds and Biffy Clyro. Clients also have the option of sampling our bespoke menus created by our in-house chef, or for those on a budget the studio continues to offer self catering facilities. Having just the one studio guarantees artists complete privacy without the feeling of being completely isolated – the idyllic market town of Monmouth is less than 3 miles away. 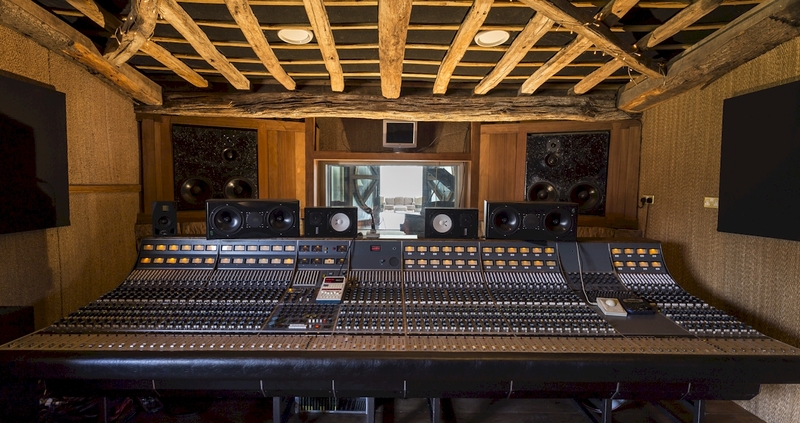 Synonymous with its unique live room, picturesque setting and now enviable equipment list, Monnow Valley and Andrew Scheps have combined forces to present a world class facility that offers the very best in vintage and modern residential recording.